Anyone longing for Brad Pitt to lead humanity in the fight against ravenous zombie hordes for a second time is about to have their hopes dashed. Deadline reports that Paramount has decided not to move forward with their plans for a sequel to 2013’s World War Z. Apparently, concerns over the sequel’s budget are to blame for the sudden halt. David Fincher was attached to direct the film with Pitt returning as star and producer. Jurassic World: Fallen Kingdom director J.A. Bayona was originally hired to helm the movie, but he left in 2016. Production was scheduled to begin in Atlanta in either the spring or early summer. Marc Forster directed the original World War Z. It starred Pitt as Gerry Lane, a former UN investigator who becomes entangled in the fallout of a zombie pandemic. Despite being adapted from Max Brooks’ 2007 novel of the same name, the movie shares minimal similarities with its source material. Brooks himself noted that the only thing the movie had in common with his novel was the title. The film was famously plagued by constant rewrites during pre-production. However, it managed to earn decent reviews when it finally released and went on to make over $540 million worldwide. Regardless of this latest development, Deadline indicates that this might not be the end for the franchise. The report specifies that it’s not clear if the film has been outright canceled or if the producers are going back to the drawing board. 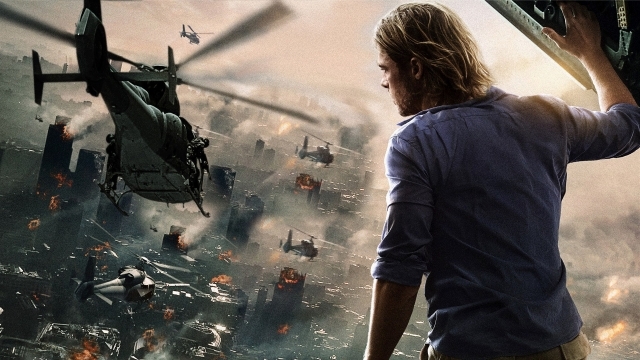 How do you feel about Paramount’s decision to reconsider its plans for World War Z 2? Would you like the film to see the light of day at some point? Give us your take in the comment section below!